The landlocked West African country of Mali – one of the poorest in the world – has experienced rapid economic growth since the 1990s. For several decades after independence from France in 1960, Mali suffered droughts, rebellions, a coup and 23 years of military dictatorship. But since its first democratically-elected president took power in 1992, it has had a civilian government and enjoyed relative political stability. 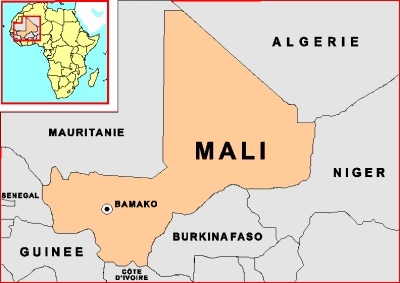 The core of ancient empires going back to the fourth century, Mali was conquered by the French in the middle of the 19th century. In 1958 it was proclaimed the Sudanese Republic and the following year it became the Mali Federation, after uniting with Senegal. However, Senegal seceded and Mali became independent in 1960. 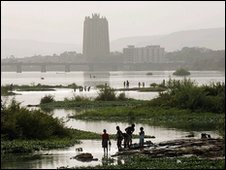 Although swathes of Mali are barren, the country is self-sufficient in food thanks to the fertile Niger river basin in the south and east. Mali is one of the continent’s biggest cotton producers. Along with other African exporters it has lobbied against subsidies to cotton farmers in richer countries, particularly the US. It argues that these depress prices and restrict Malian farmers’ access to export markets. Mali is saddled with a chronic foreign trade deficit, making it heavily dependent on foreign aid and the money sent home from emigrants working abroad. In 1985 Mali fought a brief border war with Burkina Faso, and relations continue to be strained. In the early 1990s the army was sent to the north to quell a rebellion by nomadic Tuareg tribes over land, cultural and linguistic rights. The uprising was ended by a series of treaties in the mid-1990s, but frustration over continuing perceived inequalities led to a renewed rebellion in 2007. Sporadic fighting continued throughout 2008, despite a cease-fire signed in May. In early 2009, military successes for the government and the surrender of several hundred rebels boosted hopes of a return to a peace process. Mali has produced some of the stars of African music. The Festival in the Desert, held every year in Essakane, a Saharan oasis, celebrates this talent. The kidnapping of a number of foreigners apparently at the hands of al-Qaeda has raised fears that the country is being used as a sanctuary by the militants. Mali has not adopted as tough a stance towards al-Qaeda as its neighbours Algeria and Mauritania, and has agreed to free militant prisoners in order to secure the release of foreign hostages. This has given rise to tensions between Mali and the other Saharan states. 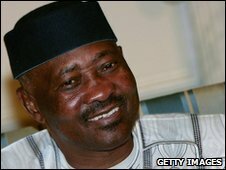 Amadou Toumani Toure, the army general credited with rescuing Mali from military dictatorship and handing it back to its people, won presidential elections in May 2002. He was re-elected in 2007. He first came to power in 1991, overthrowing military ruler Moussa Traore after his security forces killed over 100 pro-democracy demonstrators. He gained widespread respect, and the nickname “soldier of democracy”, for handing power to elected civilians the next year. Born in 1948, Mr Toure is also known popularly by his initials “ATT”. He has no official party but went into the first round of the elections with the backing of numerous support groups and 22 minor parties. Mali’s broadcast and print media are among the freest in Africa. Laws that provide harsh penalties for slandering public officials are rarely invoked. There are some 40 privately-owned newspapers and around 50 private radio and television stations, as well as state-run print and broadcast media.